During these dark winter days, when the pull inward is strongest, I want to bring up the topic of a contemplative branch of druidry. On my own path, I’ve been led into a silent lifestyle with two half-hour meditations a day, one focused on healing the planet and the other on whatever has arisen in my life that day. This practice has led me through a steady spirit ascension process, planes of light moving down into my aura for 2-3 weeks, then moving out as another color took its place from above. There have been 363 of these planes over 23 years of this continuing spirit practice, always an upward process, coming closer to a bright diamond light at the center of the cosmos that I can see in my mind’s eye. The silence of my days brings me into very close connection with the spirit world, and I’ve learned to sense and hear the voices of my guides and family of light in the Otherworld over the years. These Otherworldy beings have taught me amazing things: the Celtic regents of those planes of light, the many cosmic cycles these regents overlight and regulate, the meaning of the druid moons and Ogham letters, a vast cornucopia of information I was unable to find in my fifteen years of research into Celtic times before I started my meditation practice. And my guides and family of light are always full of love and courtesy, an abiding, gentle, and profound love that I’ve never experienced in this earthly world. This Otherworld connection I maintain in the silence of my home links me to inner teachers from the far reaches of the cosmos, wisdom beyond imagining, plus that love and respect that I find so very nourishing, love I can no longer live without. I know a silent lifestyle isn’t for everyone, and I’m not suggesting this. But I am saying that taking an hour or so a day in silence to connect with the Otherworld brings benefits that are nearly miraculous. It would benefit everyone greatly, I’m certain of that. At druid gatherings I’ve been to, there’s often a lot of noise, a rowdy, not always kind, atmosphere. And it brings me out of my inner connection to the Otherworld and sometimes feels like a large drop in the peacefulness and inner love I am used to feeling. Celebration, exuberance, and fun at druid gatherings are good overall; I’m not arguing against them. But I want the magic of my silent times and my interface with the spirit world, too, especially when with others of my own spirit tradition, for it potentiates everything that occurs. I’ve felt spirit magic during musical performances at gatherings sometimes, but the general noisiness interferes with my spirit connection to the Otherworld. The rituals are often lovely, but they, too, do not include moments of silence and are usually so formalized and scripted that I can’t stop for a moment to just listen, to feel the spirits of the trees or lakes nearby. It’s in the silence that spirit messages slip between the small spaces into our hearts and minds, that’s what I think. And I long for a soul group that I can meet with once a month perhaps, to share a bit of silence and some spirit stories, perhaps, a quiet group, similar to the English Order of the Sacred Nemeton. So far, I’ve not met anyone who has much interest in such a thing, not in druidry, at least. I’d love to hear from anyone who does! So, here’s to silence, to calling forth the nature spirits and ancestors of light, druid guides from the Tuathe de Danaan, perhaps. Let’s open our own practices, our gatherings and rituals up to the universe, the spirit interconnectedness of all that is. Let’s listen in the stillness for a change, for that’s where the true power is. 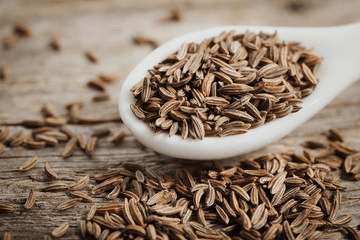 Cumin is a fragrant spice in the apiaceae family, meaning it’s related to carrots, parsley, and the similar looking caraway. We use the seed of the plant in both cooking and magic. Cumin has been used for thousands of years, and most likely originated near Syria, based on evidence from nearby excavation sites. Cumin was a table spice in Ancient Greece, a tradition which continues today in Morocco. The Romans adopted the use of cumin, and Spanish and Portuguese colonists eventually brought the spice to the Americas, where it is enjoyed in a range of cuisines. Cumin is one of those mesmerising flavours that simply doesn’t taste like anything else. When I was first learning about cooking Indian food, I had not realised that cumin was such a commonly used ingredient. Adding it to my store cupboard changed my life. Most curries I cook now have whole cumin seeds fried until they pop and release their smoky, earthy goodness into the hot oil. Every chilli con carne is blessed with my kitchen’s holy triumvirate of cumin, coriander and turmeric, making the house smell simply divine. Whole seeds and ground cumin are both readily available in grocery stores and supermarkets. I’ve found that the best value way to buy cumin is to visit an Indian or Mexican store or wholesaler, as shops that don’t specialise tend to bump the price up. Cumin seeds are used as a natural medicine all over the world. Alleged cumin medical properties include being an anti-inflammatory, diuretic, antispasmodic, carminative, aromatic, digestive, and an emmenagogue. In their book about healthy seeds, Danny Sarmiento writes that cumin helps prevent the harmful effects of stress on the body. That must be why I love a cumin heavy curry on a weekend after a hard week! 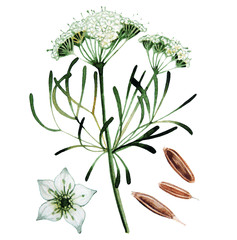 Sarmiento also states that cumin can offer relief for asthma sufferers as it may dilate the airways. There’s also some indication that the seeds may be effective for treating diabetes. The seeds are filled with nutritious vitamins and minerals including iron and manganese, so they’re a great addition to just about anyone’s diet. 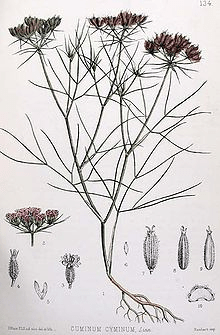 Cunningham lists cumin in his encyclopaedia of magical herbs. He states the spice is masculine, associated with Mars and fire, which makes sense when you think of how this spice is often used in hot curries and Mexican food! Heat is definitely linked to cumin. 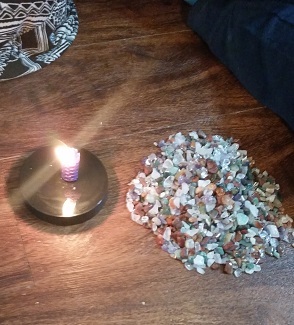 But I also find it earthy, and grounding. According to Cunningham, the spice is used for protection magic, to ensure fidelity, for exorcism and to prevent theft. Bread baked with cumin seeds won’t be stolen by spirits, so if you follow this superstition, don’t leave cumin-spiced bread out for the fair folk! Cumin can be burnt with frankincense to create a powerful protective incense. Scatter cumin and salt to create a protective boundary. 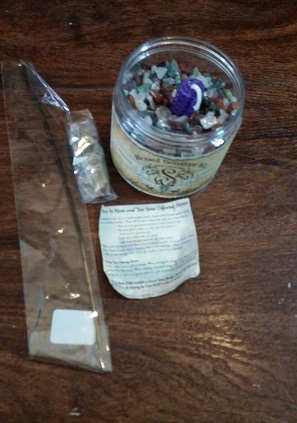 Carry in a pouch at handfastings to drive negative thoughts or energies away from the happy couple. Or add some to the wine later on, for an exciting wedding night! Mix cumin seeds with fine salt. Walk the boundary of your home at Imbolc or the Spring Equinox. 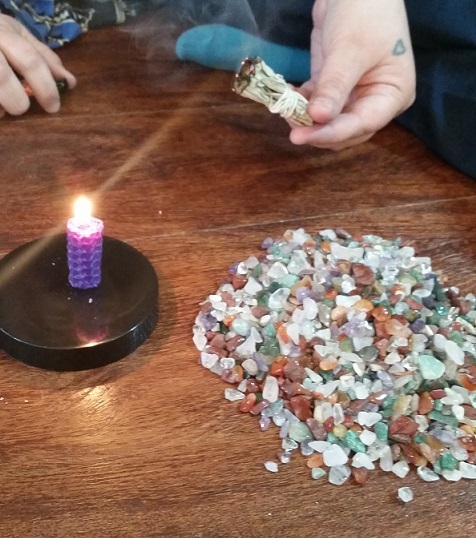 Sprinkle the protective mix while you visualise your home as a safe and special place. Imagine the sun’s returning light suffusing your home with a warm, comforting glow. The salt and spice mix will keep negativity at bay, whilst allowing love entry, and encouraging loyalty. There’s an old superstition that you should curse and shout as you sow cumin seeds, to ensure a good crop. All images via Wikipedia or Wikimedia commons.